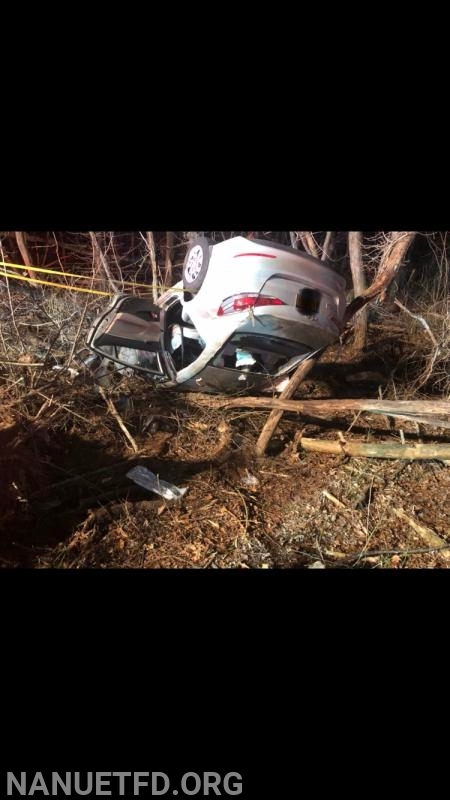 Shortly after 2100 hours Nanuet FD was alerted to respond to a report of extrication on the Palisades Parkway Northbound between exits 9 & 10. 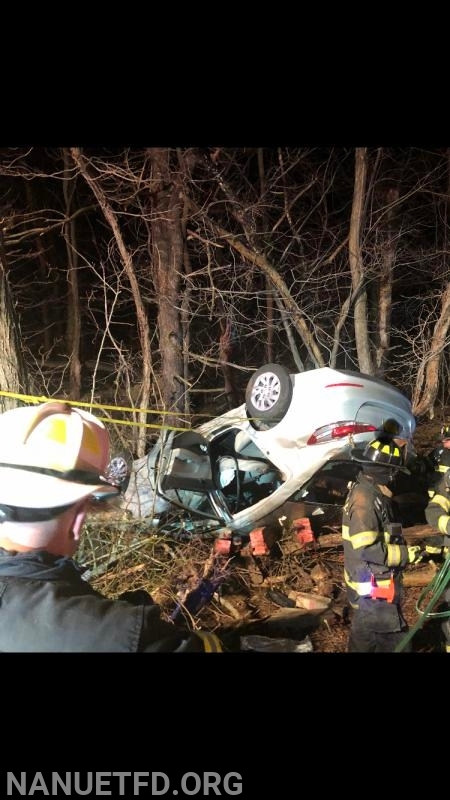 Once in service Chief Brian Ready (8-1) was notified by 44-Control that they were receiving multiple reports of a vehicle flipped over on its roof down the embankment with someone still inside. On scene minutes later Chief Ready confirmed those reports and that extrication would be needed. Crews from arriving apparatus 8-EQ, 8-1750 (from the 8-100 main firehouse) & 8-1500 (from the Bardonia substation 8-101) quickly went to work stabilizing the vehicle with rope and step chocks allowing safe use of the Hurst Jaws of Life to remove the rear and front passenger doors off the vehicle. This allowed paramedics access to assess and treat the patient. 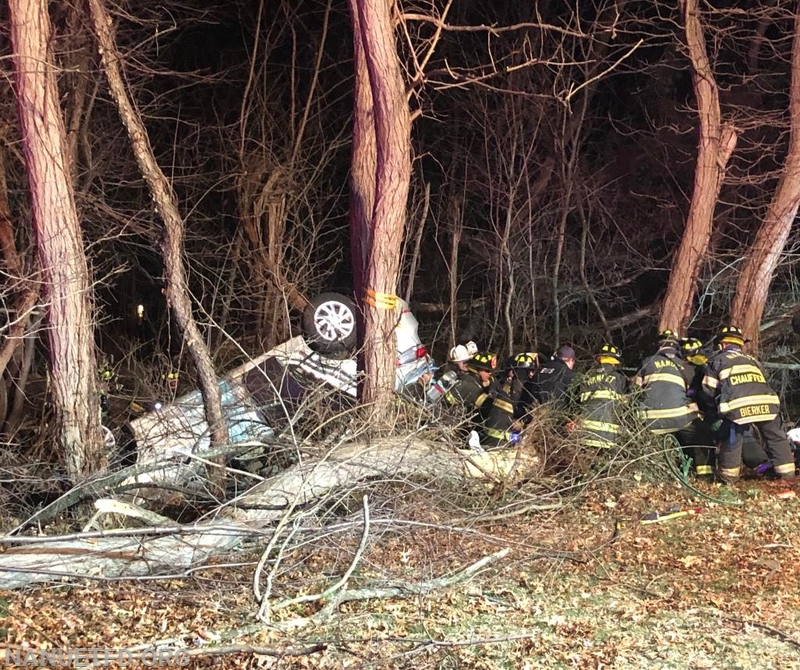 The patient was transported by Nanuet Ambulance to the hospital and all units returned to normal service less than an hour later. Units: 8-1, 8-2, 8-3, 8-EQ, 8-1750, 8-1500, Rockland Paramedics, NY State Police & Nanuet EMS.